Before you get started on your bathroom remodel, you need to plan the following: what your budget is; who will be doing the work; and what your timeline is. With decades of experience, we have some recommendations that can help you plan and know what to expect during a bathroom remodel. Design, to update the look and feel of a bathroom for personal aesthetic, or to add value to your home. Each of these motivators can help gauge the overall cost of your bathroom remodel. If a fixture or aspect of the bathroom has deteriorated, you might only update some of the bathroom. Damage will require a professional assessment to ensure you are replacing everything that has become unusable, which can add up in costs. And if you are following a design vision, custom materials can also add to your bill, but will create the bathroom of your dreams. After identifying your motivator and your budget, it's time to assess the details of the remodel. From custom materials, to what parts of a bathroom remodel you could be doing yourself, read on for our recommendations. If your ideal bathroom includes a custom glass shower, designed to your specifications, consult the experts. Certified shower technicians have years of experience, and can help you layout the shower to best fit the function and floor plan of your bathroom. Additionally, custom materials can add up in costs. Work with the shower experts to find the most cost effective glass type that fits your vision for the bathroom remodel. If you want to remodel your bathroom yourself, there are plenty of resources online to help you grout and tile correctly, and install a newer toilet. It might not be perfect, but you will have the pride of having accomplished the work yourself. Be aware that you might discover additional damage or defects than originally anticipated, so make sure you aren’t biting off more than you can chew by taking on a bathroom remodel yourself. Tiling or repainting yourself are good ways to save money on your bathroom remodel if you are tight on budget. Showers tend to be a larger cost within a bathroom remodel, and require great attention to detail to ensure the shower is properly supported, installed, and sealed to prevent water from seeping into the rest of the bathroom. 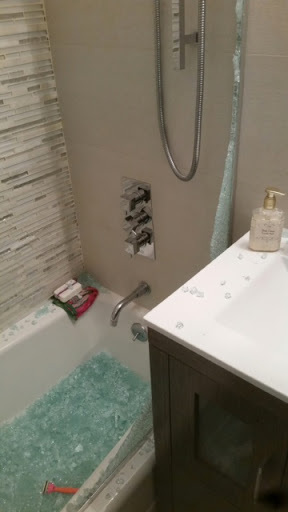 If you install a new shower unit yourself, chances are you might void the warranty, and lose the protection of your recent investment. 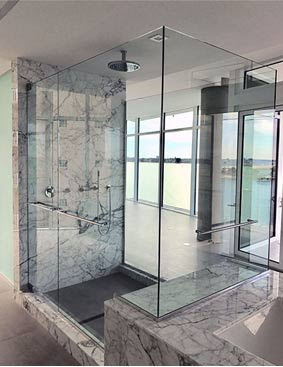 We recommend always working with a certified glass installer for showers, to ensure the work is done correctly, and is protected over time. If you have the budget, it’s always worth letting the professionals get the job done for you. They can stick to a timeline and want you to have the best experience possible. 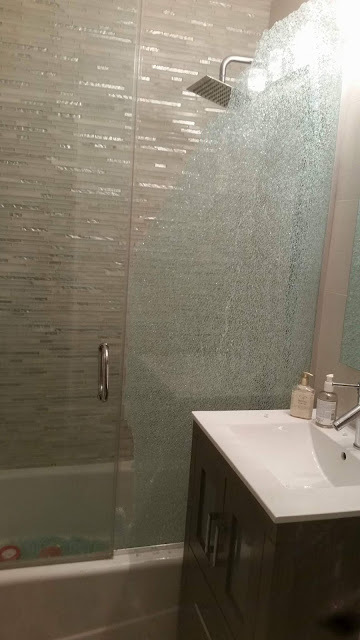 Besides finishing the remodel in a timely and clean manner, some professionals like FRAMELESS SHOWER DOORS guarantee their labor and quality of work. That way, you know who to call if something does go wrong within the first few months after the remodel. Get started on your bathroom remodel and consult the experts at FRAMELESS SHOWER DOORS today.